Presentation: a detailed instructional guide on the PowerPoint that leads you through the aspects of the presentation including, but not limited to, Susan G. Komen, Statistics, Risk Factors, Breast Self-Awareness, and Early Detection. 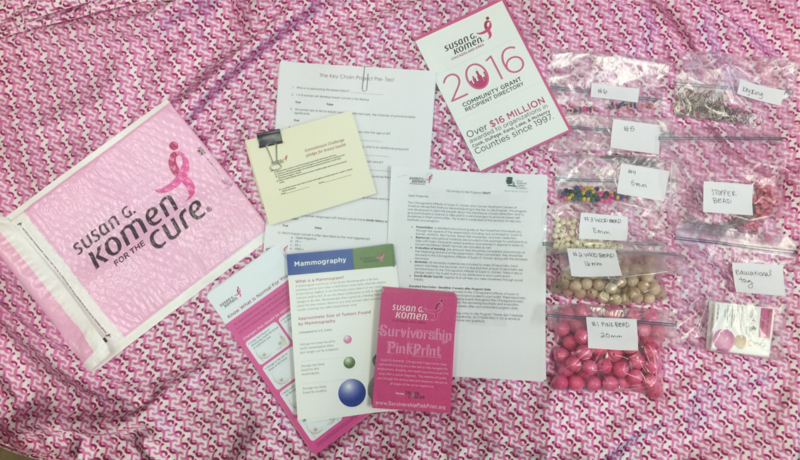 Resources: educational materials are included in the package for participants to take with them. 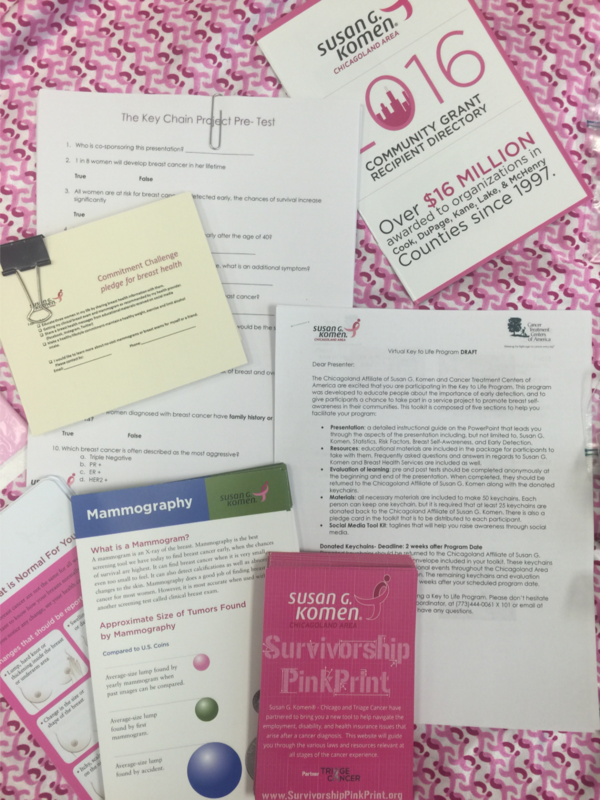 Frequently asked questions and answers in regards to Susan G. Komen and Breast Health Services are included as well. Evaluation of learning: pre and post tests should be completed anonymously at the beginning and end of the presentation. When completed, they should be returned to the Chicagoland Affiliate of Susan G. Komen along with the donated keychains. 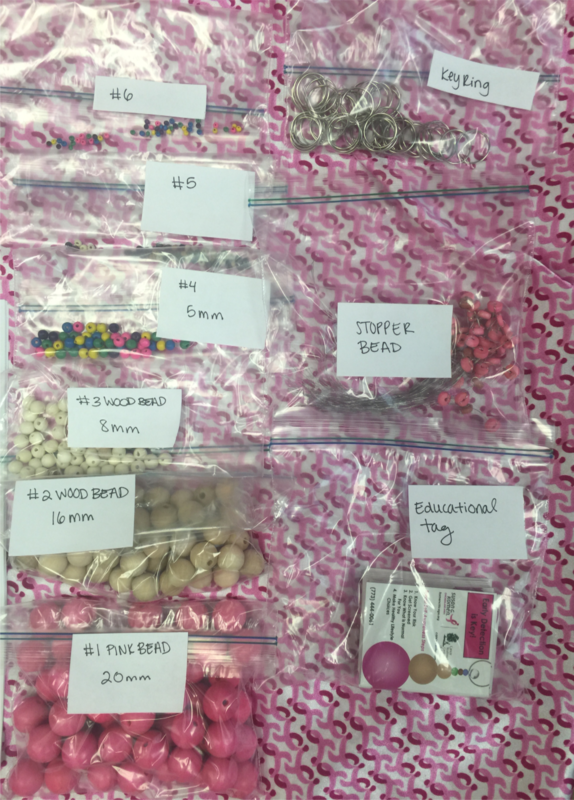 Materials: all necessary materials are included to make 50 keychains. 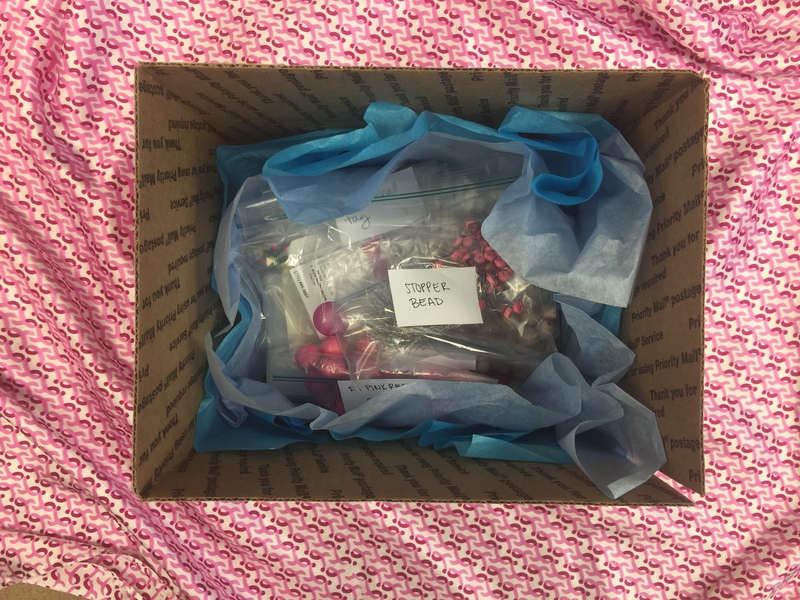 Each person can keep one keychain, but it is required that at least 25 keychains are donated back to the Chicagoland Affiliate of Susan G. Komen (pre-paid envelope will be provided). There is also a pledge card in the toolkit that is to be distributed to each participant. Social Media Tool Kit: taglines that will help you raise awareness through social media. *If you are looking for an in-person Key to Life Program click here.